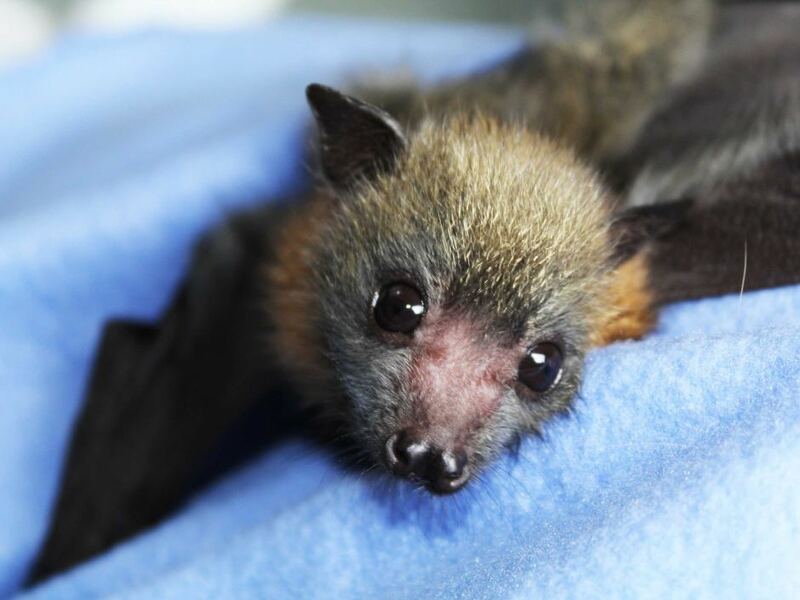 ABC News: A sanctuary for orphaned fruit bats on Sydney’s North Shore (Australia) has been expanded to house more pups and adult bats. 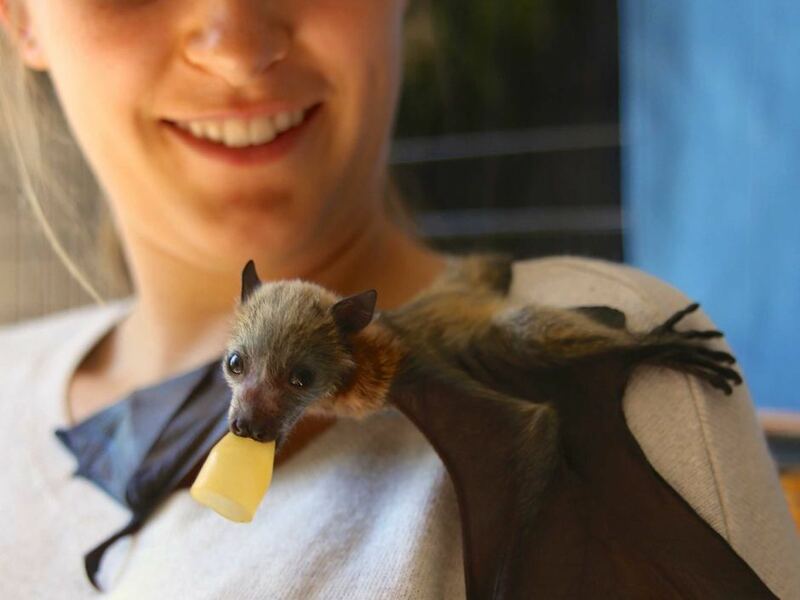 Every spring up to 100 fruit bat orphans are hand-reared by wildlife volunteers, then taken to the Kukundi shelter at Lane Cove National Park. Their mothers can die from natural predators, flying accidents and entanglement in power lines. “They will go to backyard fruit. And they will get tangled in backyard fruit netting. And this does terrible things to their wings so they can’t fly,” said Tierre Thorpe from wildlife carer organisation Sydney Wildlife. “They often get caught on power lines so they get electrocuted,” she said. The breeding season is in October when it is all hands on decks for volunteers. Picture by Tiere Thrope shows a baby on a mini-milk bottle. Landcare Australia. The bats “go through a rehabilitation process in our volunteer’s homes and they come here to gain flight fitness,” she said. An expanded cage for orphans which was opened this week is expected to cater for 100 babies a year – alongside the 500 adults in a separate cage. Just as every other baby critter – frightened, hungry and adorable! That’s right! 🙂 Thank you for your visit. Much appreciated. Oh my god those are so cute! I just got a bat house for my mom last christmas! Bats are so awesome! Thanks!, I like yours too! They are such sweet little things. It’s tragic that so many of these bats are killed or badly injured in backyard netting or power lines. The work done in the rehabilitation centres is wonderful, including the way the orphans are cared for. Thank you for sharing this, Joycelin. Oh my goodness. They are ADORABLE! Yes they are – thank you very much. 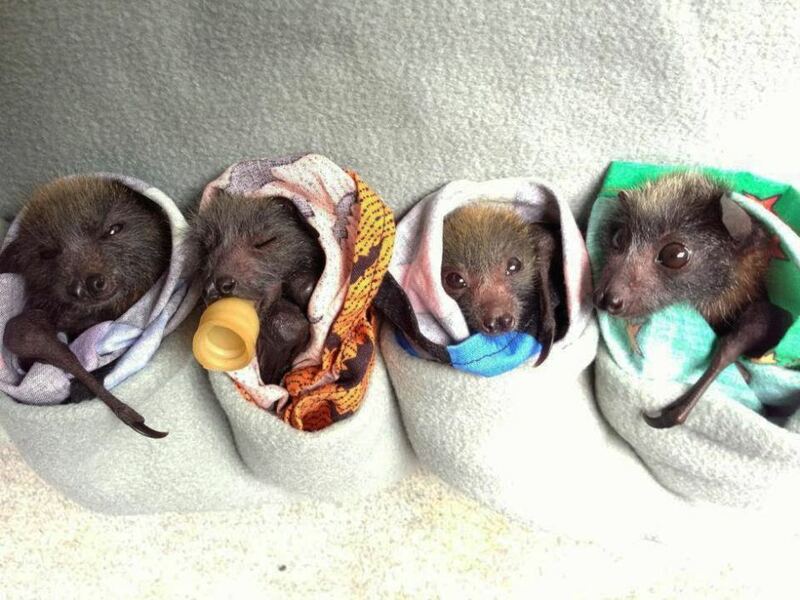 Okay, now I want a baby bat! They are so freaking cute! Wow! Those are some cute critters!